I went online and booked a 2:24 tee time for $27. The place seemed pretty busy when I arrived and I saw groups going off on the first tee. I knew it wouldn’t be a quick round. I checked in with the starter and he said he could get me right out. 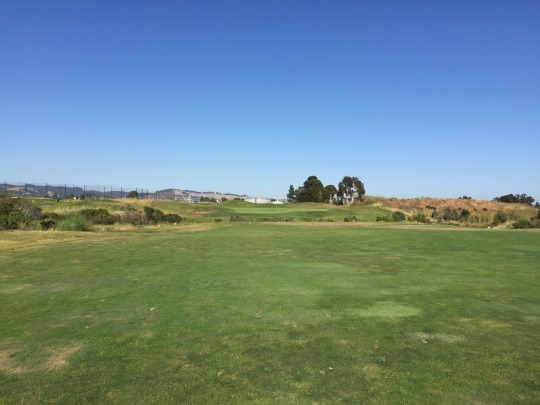 I ended up teeing off around 2:00, paired with two other singles. It was nice to get off earlier than expected, but that was the only thing that went quickly. It was very slow out there and we took five hours to finish. After already playing 45 holes (not to mention a round on Sunday before driving up at night), this round felt like an eternity. It was also a very sunny day and there is no shade on this course at all. There were some stiff winds, though, so the overall temperature was cool. Still, the glaring sun took its toll while waiting around between every shot. 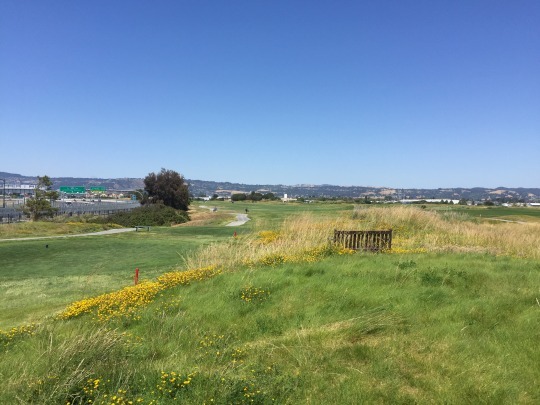 I am well aware that this is one of Oakland’s most popular public golf courses and it gets a ton of play. I wasn’t expecting it to be empty. I was just pretty shocked at just how busy it was for the middle of a Monday afternoon. Okay. Enough about the pace of play. It was what it was. Metropolitan was designed by Johnny Miller and Fred Bliss. 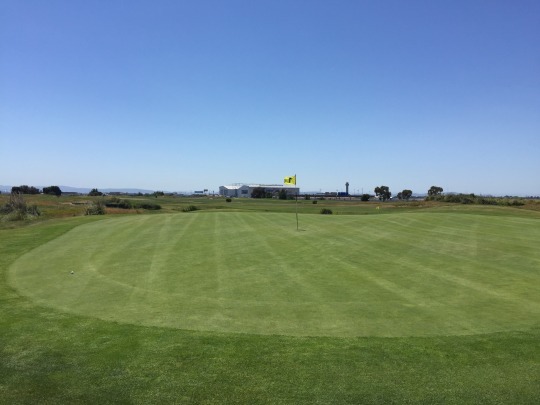 It is meant to be a links-inspired design, built for windy conditions and making use of the gently rolling (but overall flat) terrain. 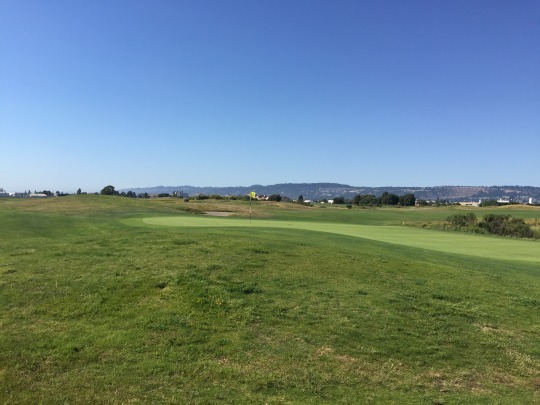 The course is located right next to the Oakland International Airport, so there is a lot of air traffic overhead (mostly private jets and smaller planes going over where the course sits). 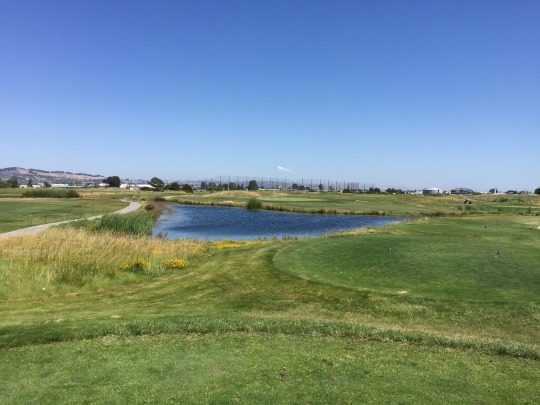 It had a familiar feel with other similar style courses, though the comparison that came most to mind was Ridge Creek Dinuba in the Central Valley. It’s funny to make that comparison because the layouts have very similar qualities. However, so much else is completely opposite. Ridge Creek is out in the middle of nowhere and basically secluded compared to Metropolitan right in the middle of a huge industrial part of Oakland that’s right next to the bay. Also different would be the conditions, where Metropolitan is also lacking when measured up against its Central Valley counterpart. A large part of that is due to the traffic. 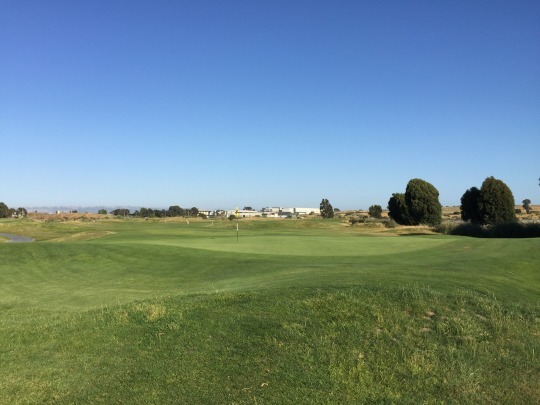 This course gets a ton of play every day, whereas it’s amazing a course like Ridge Creek Dinuba can stay in business with the minimal play it seems to get. However, the course comparison is fairly valid and that’s a compliment to Metropolitan. The design is its best quality. If they were able to maintain it a little better, it would really shine. 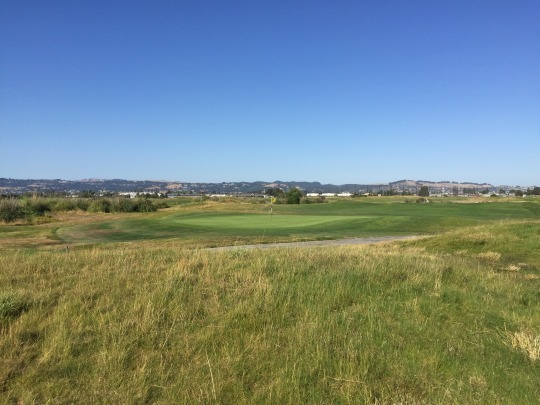 The amount of traffic it gets makes it tough and I hear it is also built on top of an old landfill, so I am not sure how great the land is underneath for maintaining turf on a long-term basis. I’ll circle back to the conditions. They actually weren’t as bad as I’m making it sound. I make the comments in relation to the vast potential of the course. 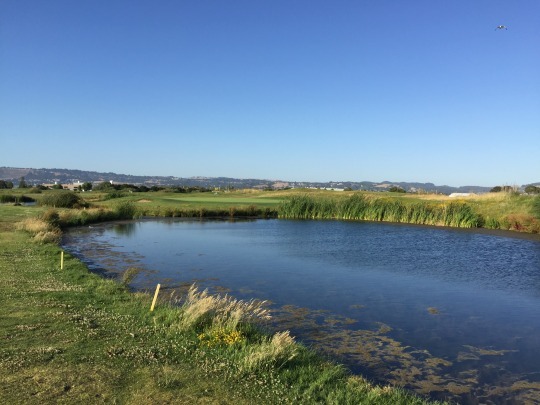 Miller and Bliss made the most of the limited terrain to craft a very well-designed American links-inspired course for the average public golfer. It is fairly forgiving from tee to green and the greens are not quite as tricked up as on most Miller courses I’ve played. They still have plenty of undulation. 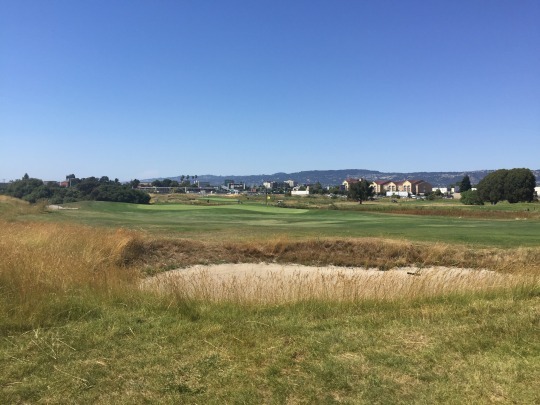 They just aren’t too crazy compared to his other California courses I’ve played, which were all built on hillier terrain than what was there at the site of Metropolitan. Like a good links style course, a good score will depend somewhat on positioning. The place may feel wide open and have some forgiving areas to miss shots, but that is part of the deception. If you don’t put yourself in the right spots, it can make for more difficult approach angles. 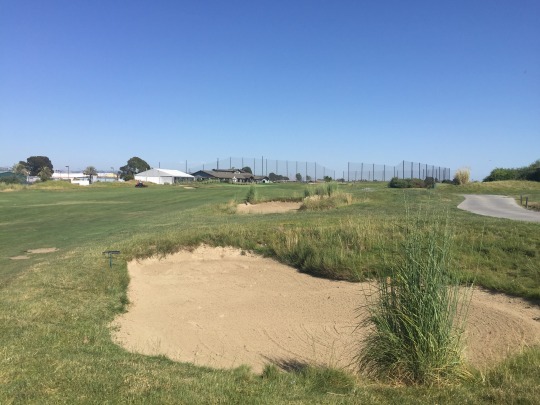 There aren’t a ton of bunkers on the course, but the ones that are there are very punitive with deep faces and rugged edges lined with long fescue grass. They are best avoided if you can. 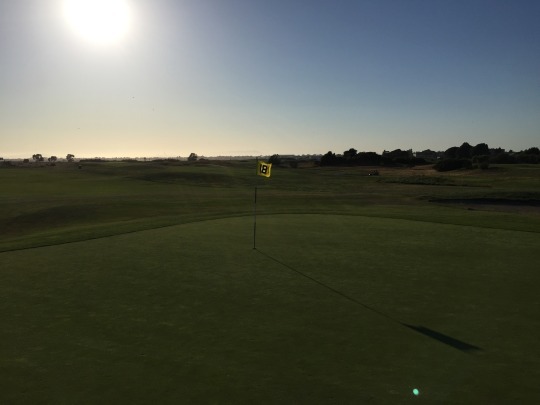 Lastly, the greens are large and do have ample undulation, so two-putts are never a guarantee. Condition-wise, the greens are where Metropolitan is known to shine. 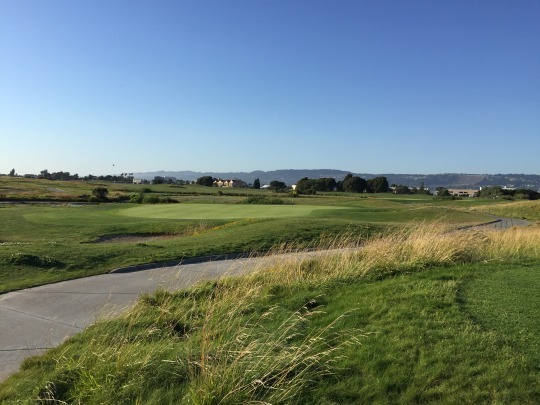 The guys I played with say the greens here are always some of the best in the East Bay, and I could see why. Water hazards come into play a few times throughout the course. There’s a drainage canal that runs through parts of the back nine. Then, two of the holes that stand out in my memory both require approach shots directly over ponds. The 5th is a nice par-3 and then the 17th is a great risk/reward par-5 where the water can definitely come into play whether you play aggressively or conservatively. The hole that jumps out most to me is the 10th. This is a beast of a hole, especially when the wind is blowing hard against you. It sounds like that is the case most afternoons here. It is a double-dogleg par-5 that ultimately curls to the left around a big hazard. There are a number of ways to attack this hole (or just to try and survive it), so it is definitely a memorable one. Anyway, back to the conditions. The greens were aerated maybe a month ago. They were almost fully healed and just had a light topdressing of sand on top. They rolled nicely and were reasonably accepting of approach shots. I guess they just weren’t rolling nearly as fast and smooth as normal. I bet in another couple weeks they should be excellent again. I could tell how well they are typically kept. Beyond the greens, though, I was disappointed in the rest of the course conditions. The tee boxes were okay. 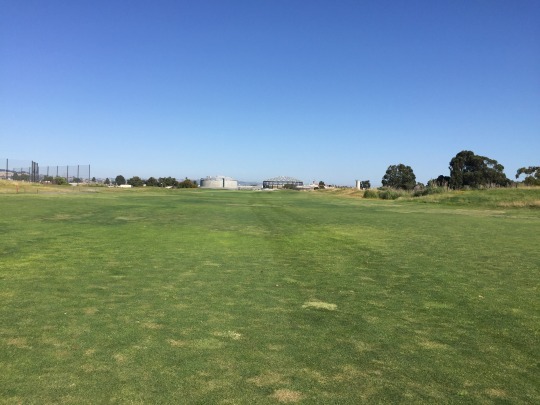 The fairways were inconsistent and spotty, again looking better in pictures than in person. The rough was very spotty with lots of big dead patches. 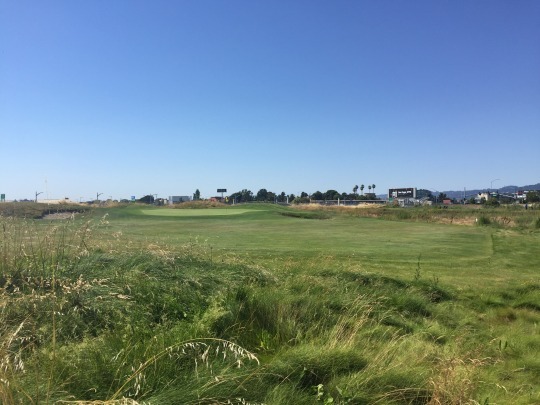 The nicest rough was the thick, super deep fescue lining the outer edges of the holes. You certainly didn’t want to hit your ball into it, but it provided a nice aesthetic quality when blowing in the wind. You’ll probably notice all my best pictures use this tall grass to make things look as pretty as possible. I wouldn’t say the conditions were horrible and things probably played a little better than they looked. 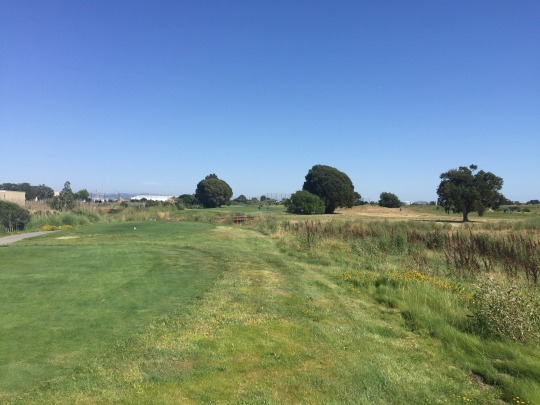 However, the worn-out fairways and primary rough areas (along with the ugly industrial areas/airport surrounding the course) just detracted visually from what I would consider a really good layout. Metropolitan has its flaws and it also has its appealing design elements. Reasonable pricing and a convenient location in town help keep it one of the area’s most popular tracks. Just know you probably won’t get a quick round if you play it and conditions are probably never stellar outside of the greens. I walked away with mixed feelings because I really liked the layout, but most other factors weren’t as enjoyable. 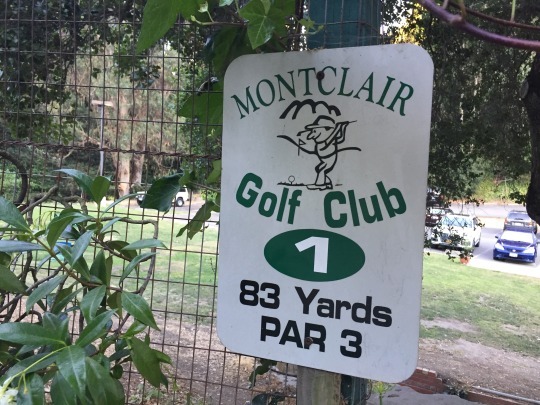 Montclair is a popular and somewhat secluded practice facility to the northeast of Oakland proper. 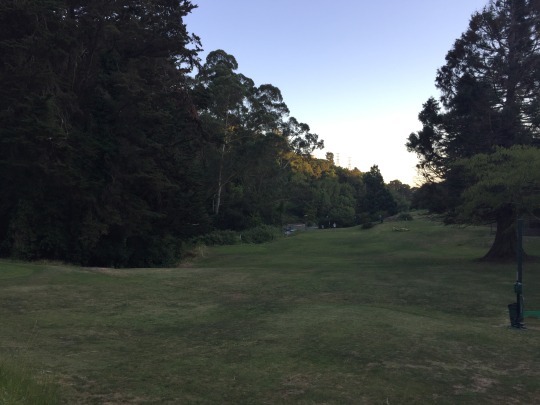 It’s actually closer to Lake Chabot, where I played in the morning. They have a big driving range that seems to get a lot of action. 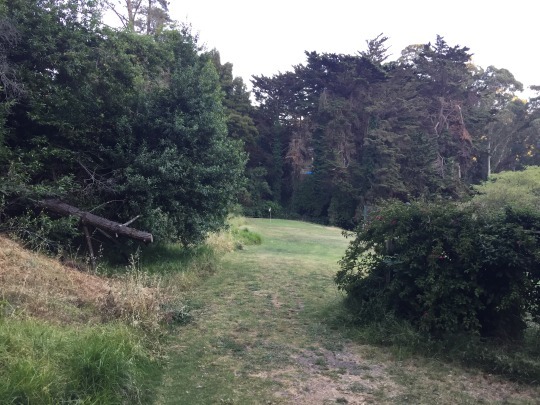 They also have a tiny pitch and putt course on the property that isn’t nearly as popular as the driving range. It’s actually a very insane little track, which made it more interesting than I expected. 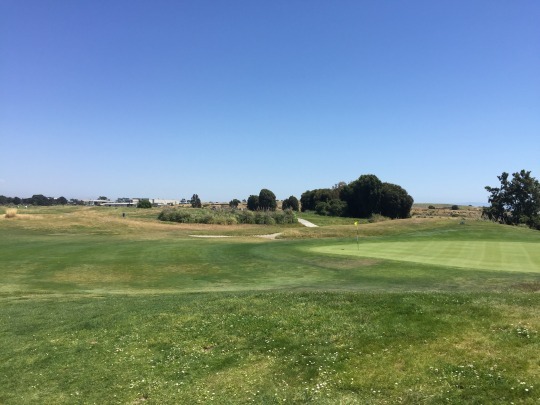 I think it was $7 for nine holes and there were only two other guys on the course, so I was able to play it very quickly with just a wedge and a putter. 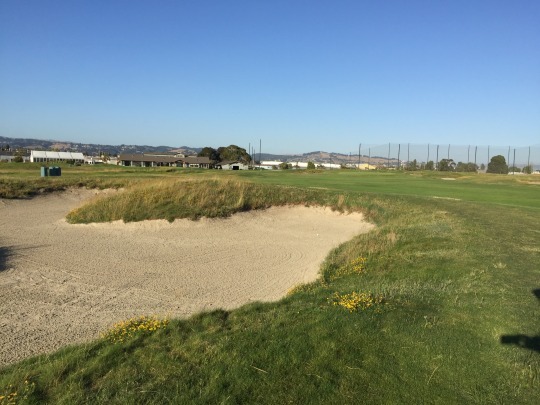 Montclair’s holes range from 54 yards up to 81, so you won’t want to bring more than a couple clubs. The putter may not even be that necessary because the greens are so small. I would say they average about 15 feet in diameter, if that. They are just teeny tiny circles that are firm and much faster than you would expect. However, this is not an easy little course. It is frankly diabolical for its size. It plays along the edge of a hillside. Some shots are quite narrow and uncomfortable. 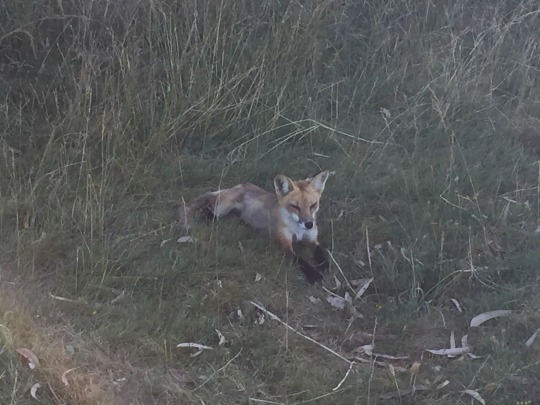 There is no better example of this than the 4th hole. 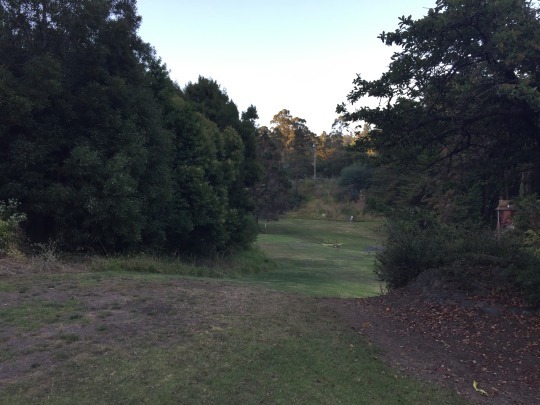 It is lined with tall trees on the right and then a hill with even more trees on the left hanging over into play. 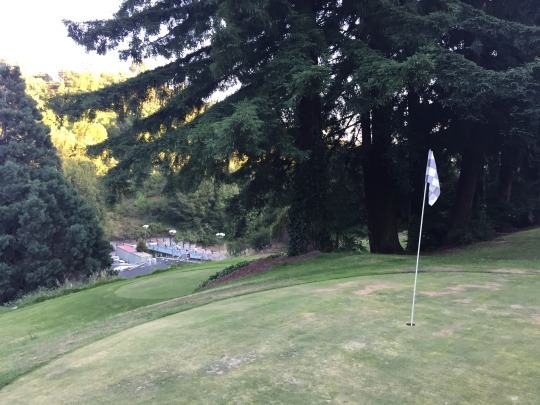 It may be the scariest 70-yard shot I’ve ever seen because it is super narrow from tee to green, and then everything drops off the hill past the small green. One might be tempted just to take out the putter and keep the trees entirely out of play! The first half of the course is hillier, tighter and more demanding than the latter half. Still, it’s tricky terrain when trying to hit awkward abbreviated shots off of mats. I should note that the mats sit atop cement pads that are way too small to hold the mats. A good portion of each mat just hangs over the edges, so be careful with your footing. The golf course at Montclair was obviously just shoved into place and not really all that well though-out. 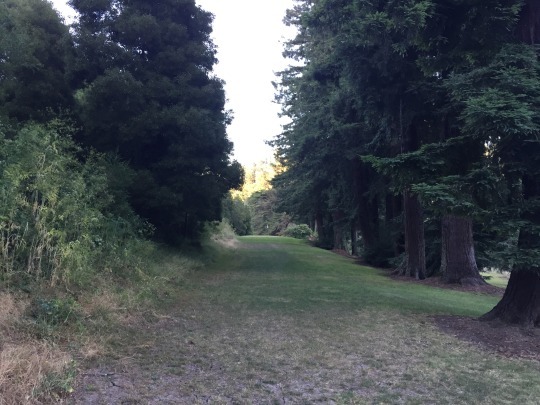 It’s a silly course that probably doesn’t ever get much play (and for good reason). However, it is because of its craziness that I will remember it. I would never want to play it again and I would never recommend it to anyone on a serious level. Still, I’m glad I got to experience it myself, if only for some giggles. Monday was my only day on the east side of the bay. The rest of the trip was spent in and around San Francisco. 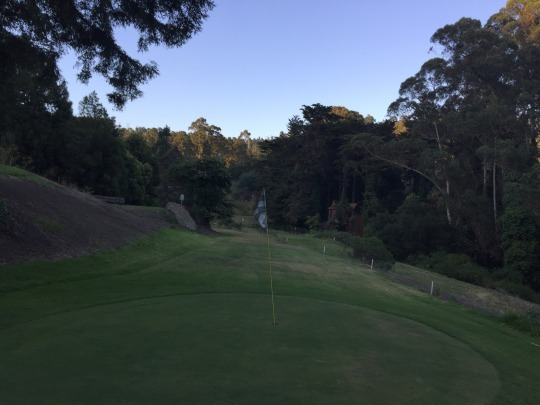 Stay tuned for Part 3, which will cover rounds at Lincoln Park, TPC Harding Park’s Fleming 9 and Golden Gate Park. 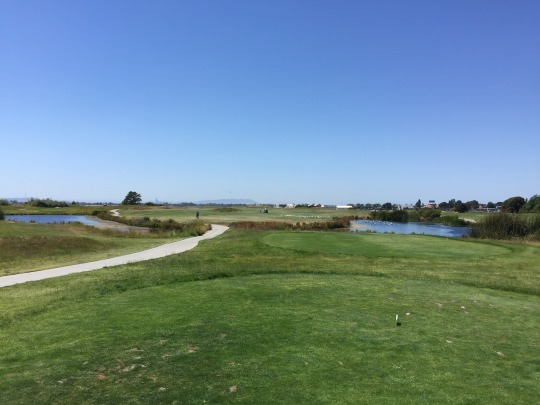 Next time you are in the Bay Area try Monarch Bay in San Leandro. 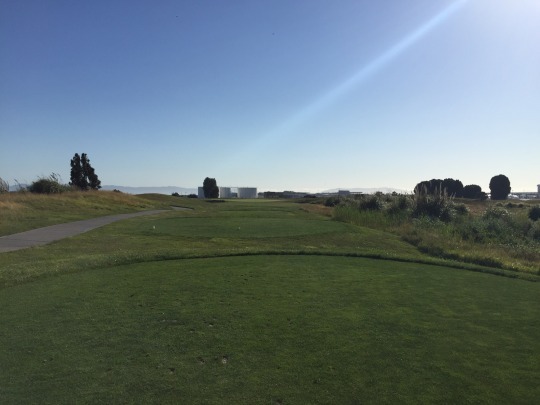 Great links course right on the bay. 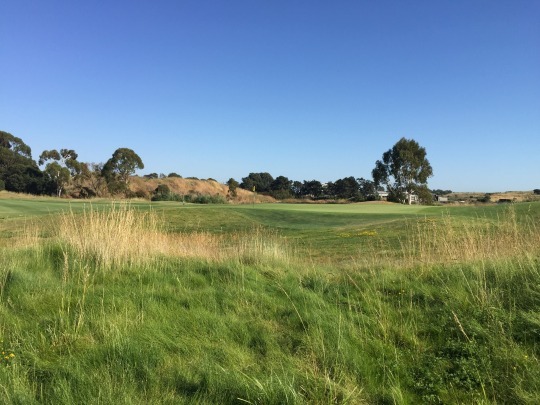 Also Alameda golf Course is opening a brand new course this weekend.